Colorado has a remarkable collection of 90 distilleries, more than 400 breweries and 140 wineries (and counting! ), and each one has its own characteristics that will vie to make it your favorite. Why you should go: free tastings, an understanding of the creative science behind these beverages and the opportunity to rub elbows with friendly and knowledgeable craftspeople. Tours are available all over Colorado, so we’ve decided to outline a few of the most locally focused experiences. What makes it different: Woody Creek vodka is a truly Colorado-raised spirit, for the distiller controls every element of its production from farming organically grown spuds to single-batch distilling the vodka using a fancy, German-made still. Because Woody Creek Distillers uses Colorado’s tasty mountain water and potatoes with high-moisture content, its product only has to be distilled once, versus six-to-eight times by other vodka makers. Another nifty aspect of Woody Creek Distillery’s production process is that the waste from its raw products goes back into Woody Creek’s Scanlan Farm as compost or to local ranches for livestock feed. Libations: Rum, rum and more rum. Also: rum. What makes it different: Montanya is known for tasty rum made from only four easy-to-pronounce ingredients (water, yeast, sugar cane and homemade caramelized honey). After the tour, visit the rum bar for cheeky cocktails, small bites (the locally made goat-cheese platter is highly recommended) and live music. What makes it different: In a land known for vineyards, Peach Street has made a name for itself as the rascally new kid on the block armed with tasty spirits distilled from local ingredients (the peach brandy is a must). Food trucks frequent the distillery and rumor has it that the tasting room gets quite rowdy when those who toured Palisade’s wine vineyards stop by at night. With the wide selection available at Peach Street, you’d be well advised to pace yourself during a tasting session. What makes it different: Cedaredge plays to its strengths by means of Colorado’s high altitude (11,000 feet), crisp mountain water and lots and lots of sunshine: The perfect ingredients for grains that distill into award-winning spirits. What makes it different: Properly distilled liqueurs are a treat on the rocks or mixed into complex cocktails. Dancing Pines has plenty of award-winning liqueurs to taste test right in the tasting room. The chai liqueur is a unique and tempting place to start, but don’t neglect the black walnut bourbon or the cherry tart varieties. Added Bonus: Visit Dancing Pines’ nearby friend, Spring 44, a vodka and gin distillery that draws upon their own artesian spring generating crisp Rocky Mountain H2O. What makes it different: Committed to sustainability, Marble Distilling sources the purest Crystal River water and local grains to concoct its small-batch spirits and donates distilled grains to local ranchers for livestock feed and compost. The business also recaptures 100 percent of the processed water and harvested energy from the distillation process to heat its facility. Snag a seat at the Marble Bar — cut from a 9-ton block of local Yule Quarry Marble — to sample the Moonlight EXpresso or pleasing Marble vodka, and slumber at the swanky Distillery Inn right onsite. What makes it different: Twisted Pine is all about experimentation. For a walk on that wild side, try the Billy’s Chilies, brewed with five different types of chilies, or the Honey Brown ale that holds Colorado’s sweet honey for a smooth finish. The ale house on Boulder’s Walnut Street is the brewery’s front and gives visitors the opportunity to pair their award-winning beers with delicious fare. What makes it different: Ska’s website has an electronic comic book explaining why their brewery matters. Long story short: They feel that large conglomerated beer companies are out to ruin beer (the villains), and places like Ska (the heroes) are here to save the day. And it’s true. You’d be hard-pressed to find a big beer company brewing with Durango’s Honeyville bees’ honey ... yum! And just wait until you meet the unlikely heroes running Ska during your lively visit. What makes it different: Most breweries get their hops from elsewhere, but Oskar Blues’ brewers grow their own at the Hops and Heifers Farm in Lyons. A must try is Dale’s Pale Ale: one of Colorado’s most popular and, according to the New York Times, it’s the best pale ale around. What makes it different: Located in a refurbished warehouse filled with local-centric food vendors, Crooked Stave (located in Denver’s The Source) has some seriously unique beers. Try the Wild Wild Brett Rouge, an unfiltered ale containing rose hips and hibiscus. This flavor palate matches everything else you’ll find at The Source, where foodies gather for Denver’s best produce, beer, artisan cheeses and meats and much more. What makes it different: Known for their hoppy beers and IPAs, Odell is a Colorado favorite and primarily uses local raw materials for their brews. A real treat in the tasting room is an opportunity to taste beers straight out of the “pilot system,” a brewing area dedicated to producing cutting-edge brews still in the testing and tasting phase. What makes it different: Harvesting grapes from their own backyard or nearby neighbors, the soils at Mesa Winds are similar to those in Burgundy, and the atmosphere is likened to someone’s awesome grandma’s farm. Located in an idyllic setting, this winery is as humble as they come, and a visit yields more than just a tasting: Stay overnight and visit with the chubby babydoll sheep on site. What makes it different: How many times have you visited a winery located in a church abbey? The Holy Cross Abbey sets the stage for several award-winning wines (they’ve literally won more than 300 awards) amid Colorado’s southern Wet Mountains. Swishing your wine glass pre-sip has never been more peaceful and serene than at this winery, which was started by Benedictine Fathers and where signs on the grounds encourage quiet contemplation. What makes it different: Infinite Monkey Theorem proclaims that it represents a counter-culture to other vineyards with its urban location, obsessive search for the best grapes, delicate winemaking process and involvement in shaping the local community that surrounds it. The name itself is testament to this, as is its especially popular, lightly carbonated cans of wine (perfect to bring along for a mid-hike picnic). What makes it different: Augustina’s motto says it all: “Dedicated to making wine that goes with backpacking adventures, raucous poker parties, family barbecues, good mystery novels and gingersnaps.” In addition to this quirky (and Colorado-like) perspective on wine, famed winemaker Marianne blends grapes sourced from Colorado’s eastern plains all the way to the Western Slope — representing the best that the state has to offer. 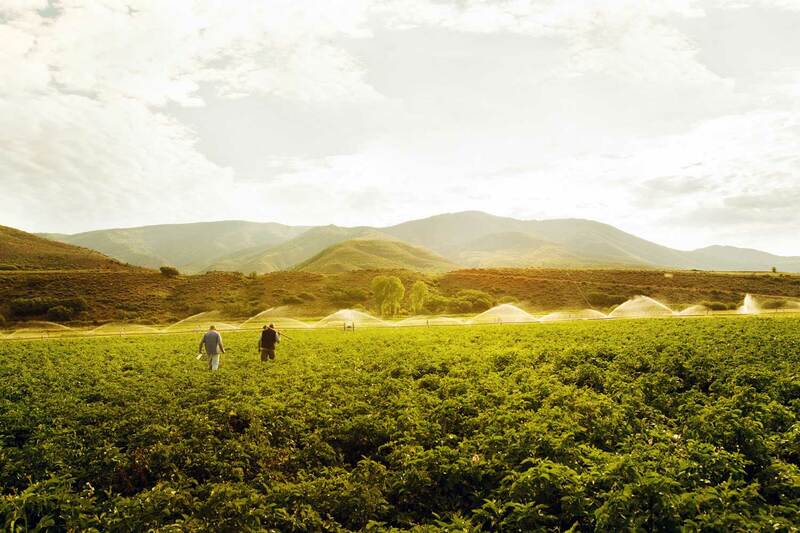 What makes it different: It’s tough to stand out in Colorado’s burgeoning wine country, but Garfield Estates does so by operating as an estate winery, meaning that everything is done on site, from growing to bottling. The winery has been producing high quality wine since early 2000 and uses sustainable practices. Their scale allows them to hand craft each wine to perfection.